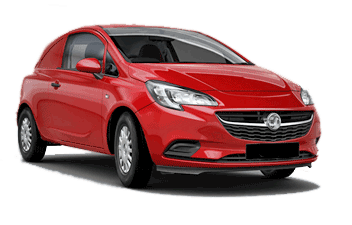 New and used Vauxhall Corsa Vans for sale or lease. 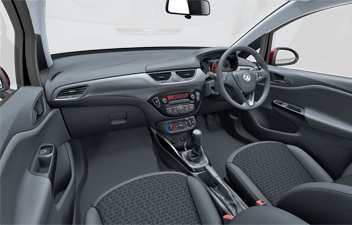 Technical data and specifications of the Corsa Van can be found below. Standard features include: Remote control central door locking with security deadlocks: Power-operated outside Mirrors Matt chrome-effect centre console: CD player/stereo radio (CD30): Driver’s dual-stage airbag: 14-inch steel wheels with wheel covers: Body-coloured electrically adjustable door mirrors: Speed-sensitive electric power-assisted steering: Punch Charcoal cloth seat trim: Pyrotechnic body-lock seatbelt pretensioners: Anti-lock braking system: Emergency brake assist Electronic brake force distribution: Electronic engine deadlock immobiliser. 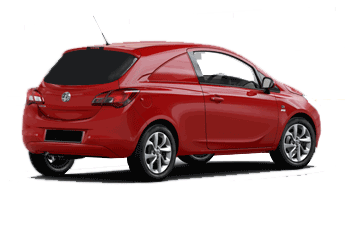 Sportive models also include: Air conditioning: Sports-style seats with Twist trim: Driver's seat height adjuster Steering column adjustable for reach and rake: Electrically operated windows: Piano black centre console: Sports Instruments: Six-speed manual gearbox: Electrically adjustable/heated door mirrors: Body-coloured door handles Dark-style tail lights: Front fog lights: Sports chrome exhaust tailpipe: Dark-tinted rear window: 15-inch alloy wheels.